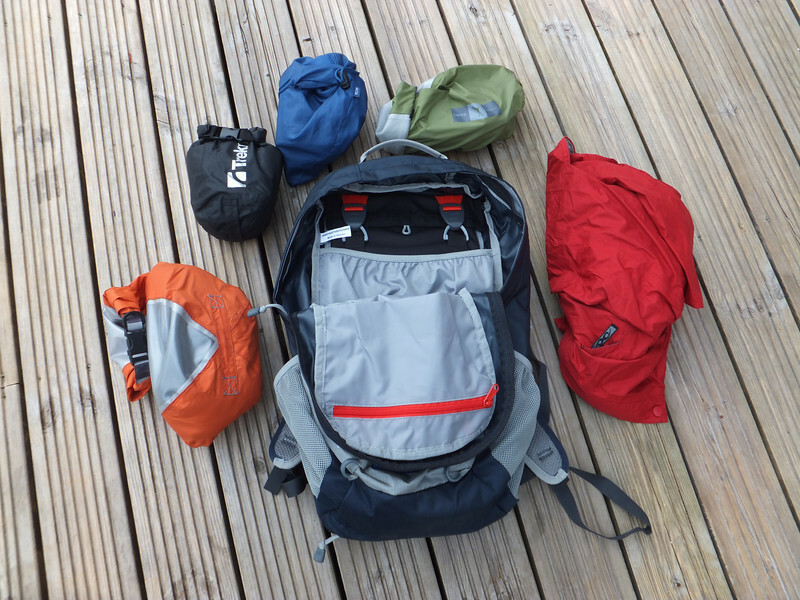 I had mentioned a wee while back that I'd been sent a Berghaus daysack to have a poke and a prod at, with the objective of putting together what might loosely be termed a "review". It's odd how things change over time. 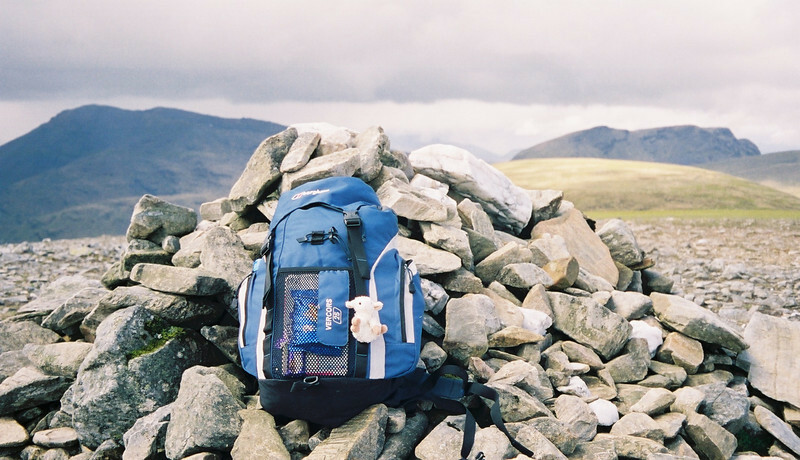 The first rucksack I used for hillwalking was a 25 litre Berghaus Vercors, and I remember being of the view at that stage that hipbelts were a waste of time for small daysacks. Indeed I cut them off the thing altogether. Fast forward a few years, and I now reckon that hipbelt pockets are one of the most useful inventions the average hillwalker can get. The Freeflow 20 doesn't have them, so that was a bit of a potential drawback from the off. Still - I managed fine without them for years, so bravely soldiering on was the order of the day. What a trooper, eh? I had actually intended to give it a try last week, on our trip to Carn Dearg, but I confess that the night before, when I started to try and pack it, I was a bit taken aback about just how little space there was in it. My summer rucksack over the last couple of years has been a 25 litre Inov8 job, and it's got plenty room for everything you might need. The Freeflow started to look kind of full after my first aid kit went in. On balance therefore, and bearing in mind the summit of Carn Dearg was a long way from the car, caution prevailed and I decided to leave the test run until I could confidently cut back on the gear I was taking. 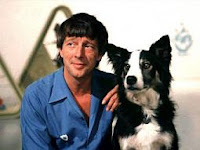 Which brings us back to Ben Venue. It's a proper walk, about 9 miles and with more than 700m of ascent. Further, the weather was forecast to be rubbish, so it meant I couldn't cheat and just not take any stuff with me. Berghaus says: "Carry all the gear you need with ease with the improved Freeflow 20 Rucksack, a day sack designed with your comfort in mind. 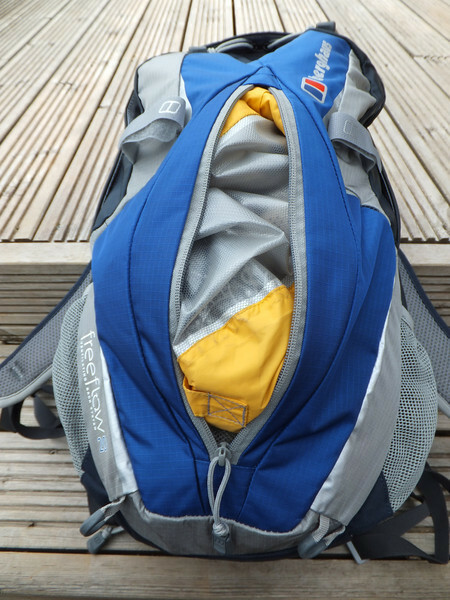 Ideal for all hiking and all outdoor activities, this sturdy and versatile trekking pac is built on the exclusive Berghaus Freeflow V backsystem that allows airflow and ventilation where it really counts." Well, it did take all the gear that I needed, but it wouldn't have managed all the stuff that I usually take. That's maybe a hint for me, more than anything, but I'm still not overly fond of cramming a rucksack full - I like a bit of on-the-hill rummage room. Clockwise, from the bottom left, there's a bog standard thin fleece top; the aforementioned first aid kit; lunch (including dug biscuits! ); another drybag with compass etc in it (see below), and a Marmot Precip waterproof jacket. Personally, I wouldn't pare it down further than that to walk up any hill that takes more than a couple of hours. 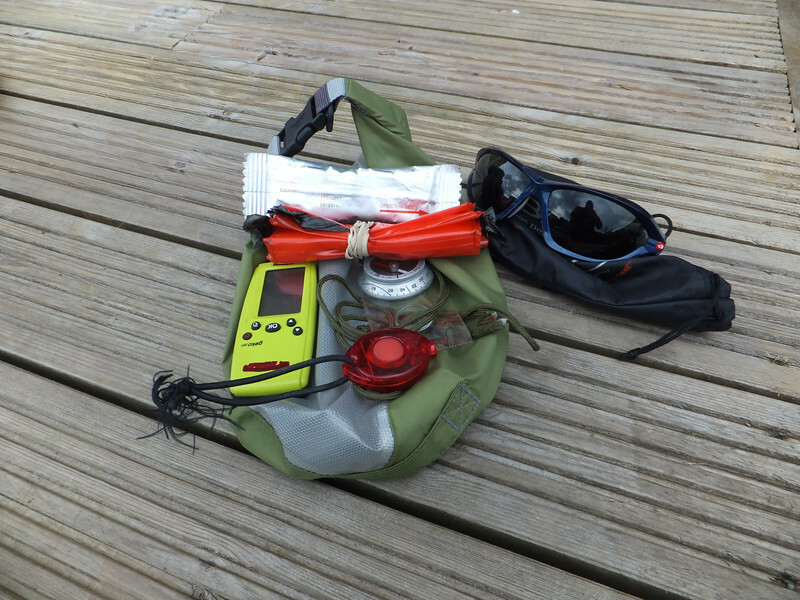 GPS, sunglasses, compass, collapsible bowl (dog, for the use of), wee red light (night time illumination/location of dog, for) and emergency rectal diazepam tube (epileptic dog, for insertion in.) All the usual bits and pieces really. It doesn't add up to much space-wise, is the point, and the pack was just about fully loaded. It being a zippered closure design, there's no lid pocket - well, obviously, there being no lid. I had already put a platypus bladder in the (straightforward) hydration pouch when the photos were taken. The tag that came with the rucksack says it holds a 2 litre bladder - which it does when the sack's empty - but I could only stuff all the gear in when I used a 1 litre version. For the sake of completeness, I also managed to squeeze my Paclite waterproof trousers inside as well, the forecast having deteriorated during the course of the evening, but that's a bit of a cheat because I don't always take them on summer daywalks anyway. It's a very thin merino beanie, one standard Buff, a pair of liner gloves and my battered old cap. The cap aye gets worn straight from the off, but it goes in the rucksack so's I don't forget it! Now, there's a pocket with a vertical zip closure on the front of the sack. It's a well-appointed pocket, and even boasts a separate wee pouch inside it. Unfortunately, it seems to have been designed for...well, I'm far from clear, but it's the ideal size and shape for carrying approximately four handkerchiefs in. 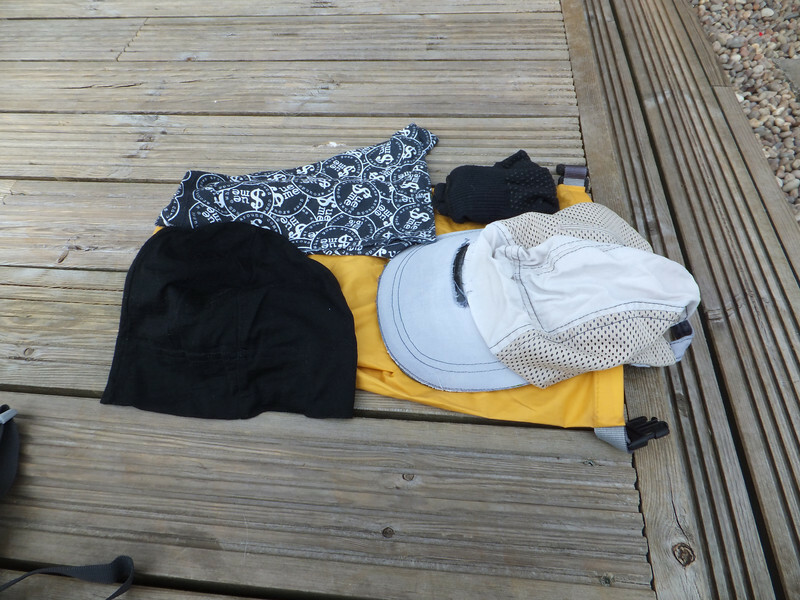 I was able, eventually, to force the yellow drybag with the hats etc into it, and get the zip to close, but it was a struggle I wouldn't care to repeat. You're actually spoilt for choice for sunblock-carrying options - there's another tiny zippered pouch on the inside of the sack. You can see the bright red zip in a couple of the pictures above. It's more for keys, or credit cards or something - you'll not get any gear in there. The two mesh side pockets are fine - big enough to take a standard Sigg bottle, and easily accessible when you're on the move. As the Ben Venue trip turned out, I ended up wearing my waterproof jacket straight from the car, so there was room inside for the yellow bag after all, but I honestly think the pack is too tight for space. 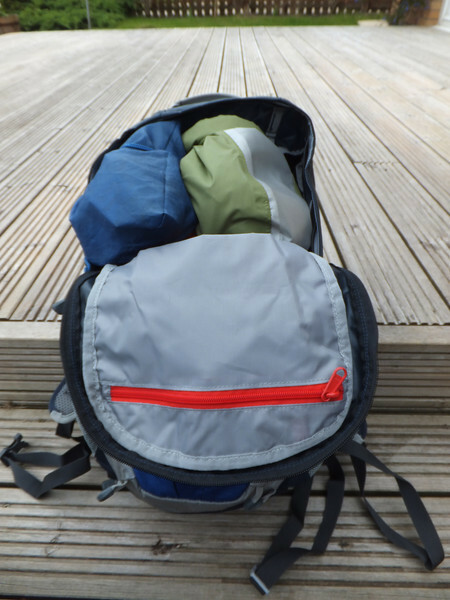 The Berghaus blurb says: "Perfectly sized for daytrips and short expeditions with a 20 litre capacity, with side pockets and a top lid pocket for organisation." It probably depends on your definition of "expedition"(! ), but this is a very, very neat 20 litres. It feels about half the size of my old Vercors, but of course that had no back system, or ventilation, or luxury sunblock pouches. 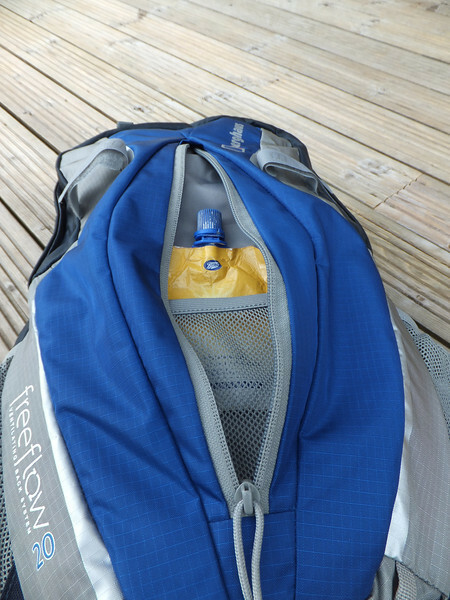 The whole Freeflow setup is the basis for this rucksack, so the sizing isn't necessarily the issue - after all, you can opt to buy a larger one. 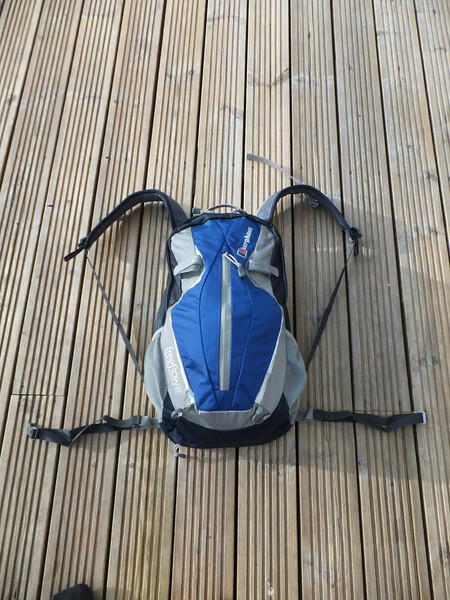 I suspect however that the average prospective purchaser would think a 20 litre pack with the Berghaus name on it would be big enough for summer daywalks - and I'm not really sure this one is. That's probably enough whingeing about capacity for one night. How's about I do a Part 2 tomorrow and explain whether it's comfy when you're carting it up a hill? Well you have sold that to me. You clearly take too much stuff. I would reduce that load down to the rectal diazepam and a bottle of diet coke. It looks a lot less footery than my Osprey - with it useless straps and fasteners. I'm beginning to think that Berghaus has lost its way... again. My (admittedly not current) "windproof in parts" jacket was a disappointment, and this is the second not-so-positive review of the Freeflow 20 that I've read lately. 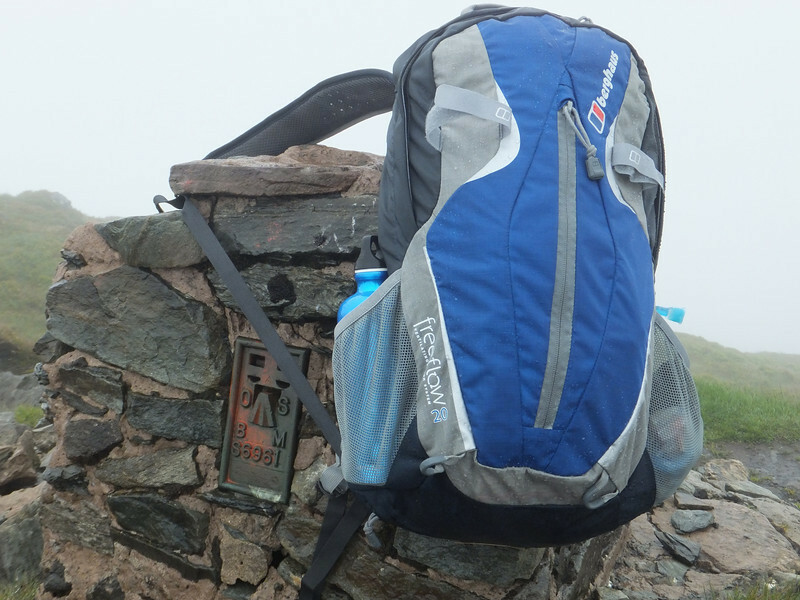 Just as the Americans could put men on the Moon but couldn't put men with water-bottles in the Louisiana Superdome, it seems like Berghaus can help a man comfortably to the top of Everest but not to the top of Skiddaw. And what's the deal with the sunblock? You spend 11 months waiting for the sun and then overburden yourself with chemicals to shield yourself from it? It's a wonder you don't have rickets! @BG - I saw the clematis reference. There's no way I'm trying to follow that particular line. It's all well outwith my specialist area anyway.